"Experienced head of department Darko Jovanović has noteworthy expertise in the financing of infrastructure and energy projects, including PPPs. Clients say he is 'pragmatic, very smart and solution-oriented,' and note that 'he can rely on his massive knowledge of complex matters and negotiations.' He also assists with NPL sales." Darko is a Senior Partner and the head of the Banking & Finance Practice Group. 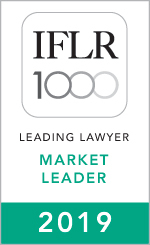 He specialises in infrastructure and energy financing, construction projects and the development of PPPs, and he is recognised by international legal directories as the leading banking & finance lawyer in the country. He is recognised as having proactively shaped the emerging trend of PPPs in the market and has assisted in the realisation of landmark high-scale projects in areas of energy and infrastructure. 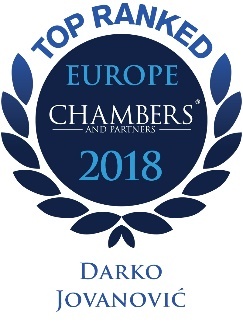 Having more than 14 years of experience, Darko regularly handles complex matters for major borrowers, investment funds and international financial institutions, covering all aspects of banking and finance, including NPLs, project and leveraged finance, banking M&As, restructurings, capital markets and insurance issues.